You are here: Home / About / Why Am I An Anglican? It’s not always easy to put into words all the reasons for being an Anglican. 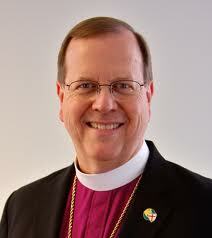 A bishop in the Anglican Church in North American (ACNA), The Rt. Rev. John Guernsey, put his thoughts down in the following passage. Perhaps in his words, you can grasp the spirit and joy in Anglican worship and service to the Lord. Why am I an Anglican? Let me count the ways! Because it’s the Church in which I met Jesus. Through the witness of Christian parents, I came to know that I needed a Savior and to put my trust in Him. Because we’re a biblical Church. We have a bedrock commitment to the Holy Scriptures as the Word of God, knowing that the Bible contains all things necessary to salvation. Because we’re a sacramental Church. We know that the grace of God is conveyed through the Sacraments as they strengthen and build up our faith. Because we’re a Spirit-filled Church. We depend daily on the Holy Spirit who is the Lord, the Giver of Life. It is in His power that we are able to serve others. Because we’re a liturgical Church. As a boy, I was formed in the faith through the Book of Common Prayer, as it conveyed profound theological truth through the beauty and power of its prayers and praises. Because it’s the Church of Cranmer, Ridley and Latimer, martyred during the English Reformation. Our forebears in the faith were willing to sacrifice all for the sake of Christ and the truth of God’s Word. Because it’s the Church of John Stott and J.I. Packer. The entire Christian world owes much to these contemporary theological giants of Anglicanism. Because it’s the Church of Archbishop Janani Luwum. Modern day martyr, the Archbishop of Uganda was executed by Idi Amin as he stood for justice in the face of tyranny and the threat of radical Islam. Because it’s the Church of Archbishops Peter Akinola and Henry Orombi. These men are visionary leaders of extraordinary courage, who have taught us so much about standing for Jesus. Because it’s the Church of persecuted Christians in Sudan and Northern Nigeria. They inspire us and through their sacrificial witness the Lord calls us to hold fast to the Gospel under increasing pressure in our culture. Because it’s a Church committed to mission and church planting. Archbishop Duncan’s call to plant 1,000 churches in the next five years has spurred us on to recapture our Anglican passion for mission. Because it’s an historic church. We treasure the Apostolic teaching and ministry which has been handed down to us. Because it’s a contemporary church. Our Church is able to present the timeless truths of the Gospel in fresh ways in new contexts. Because it’s a Church with a heart for the poor. The Global South has shown us that most of the Anglicans in the world are themselves poor. Anglicanism’s understanding of the Incarnation, God becoming flesh in Jesus Christ, causes us to share the Good News—and our lives—with those in need. Because it’s a Church that knows the power of prayer. Intimacy with Jesus in prayer is at the center of who we are. Seeing the Lord move in answer to believing prayer is at the core of our mission. Because it is a Church committed to reaching North America with the transforming love of Jesus Christ. Jesus changes us and we are blessed to be part of a Church that wants to be an instrument of Jesus’ transformation of the broken, the suffering and the lost. The Apostle Paul said that we are “servants of Christ and stewards of the mysteries of God” (1 Corinthians 4:1). The Parable of the Talents (Matthew 25) exhorts each of us as stewards to invest what the Lord has given us for the growth of His Kingdom. We have received our Anglican heritage not for mere preservation, like the wicked servant’s hiding of his master’s money in the ground, but that we might use everything we have to see the Kingdom grow.Let’s go forth as faithful Anglican servants who freely share the Good News of Christ, that a world that needs Him so much may come know Him as Savior and Lord.